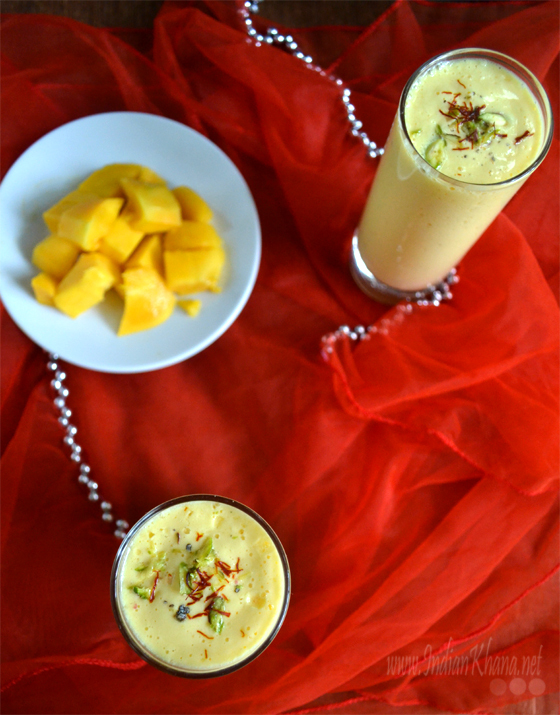 I always make mango lassi during mango season since I prefer to use ripen mango for lassi instead of using tinned pulp nor I like to use ice cubes as it's dilute the drink which I don't like so simple thing to do is use chilled mangoes and yogurt as to chill the lassi afterwards is difficult option ;) and same goes for milk or water. 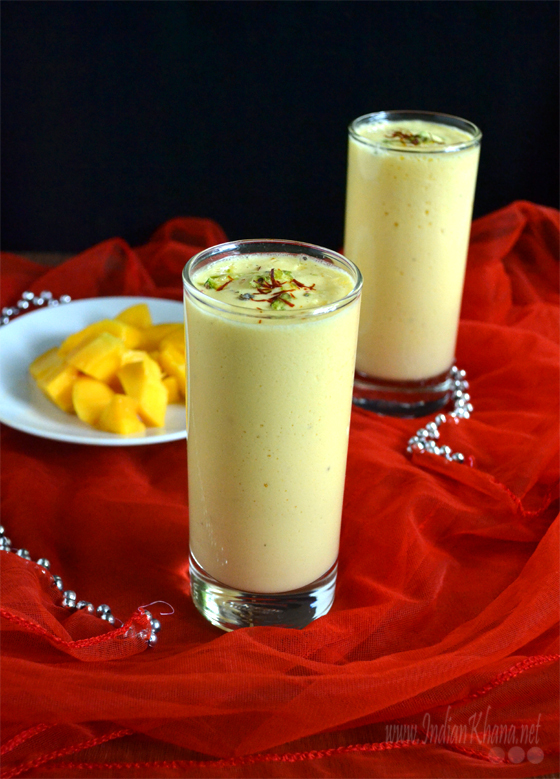 Lot of people add milk or water in mango lassi I don't do that as I said I like thick, creamy lassi which I hope you can see from the pictures how thick these lassi are. There is no rules over here you just do as you prefer. 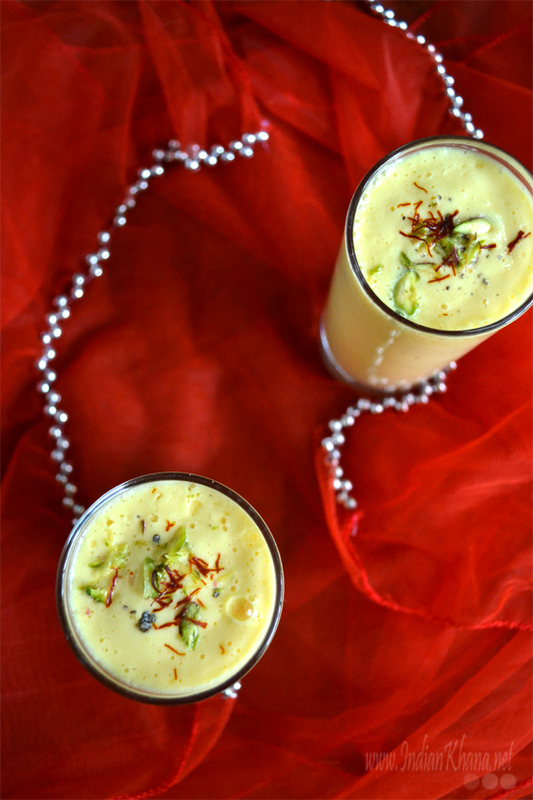 These yummy lassi doesn't only help to quench the thirst but also added along a simple meal becomes a grant affair. 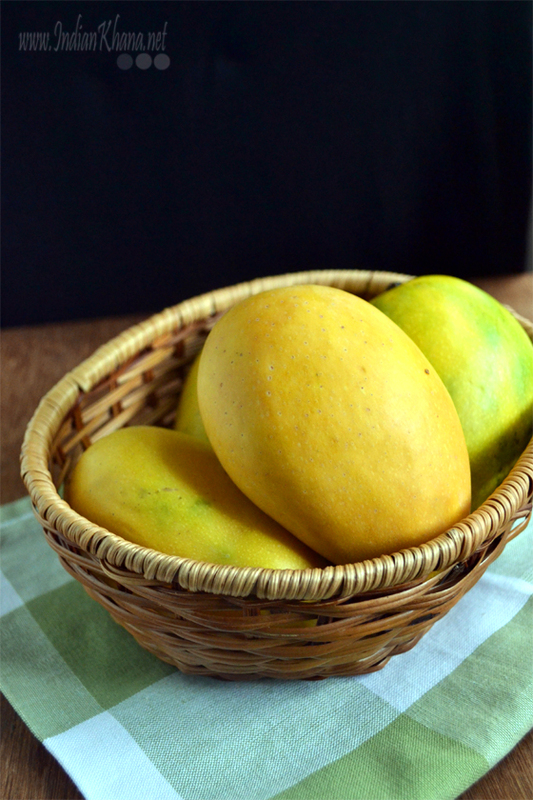 Adding saffron, kewra or rose water is optional, if you don't have both then just ignore. Looks wonderful. Love to grab the glass from the screen. very inviting. 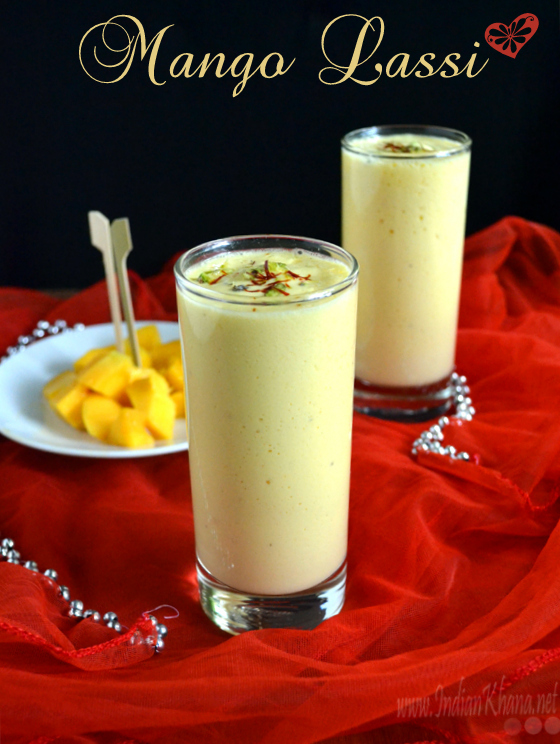 Nice fotos n refreshing summer cooler,it is even my favorite too..